Year by year, marketing trends change and develop. What consumers respond to one year, might not produce the same results in the next. The same applies to individual industries. This means that you have to be up to date on the latest business trends to maximize results. Outlined ahead are proven healthcare marketing trends to take advantage of in 2018. With technology becoming such an integral part of our lives, it should be no surprise it’s bridging gaps between patients and doctors. Just look at how much is invested in healthcare IT outsourcing globally. $50 billion! These companies understand the importance of technology in healthcare and you should, too. Patient portals are online platforms that allow patients to view test results, contact their physician, and see their medical history. This technology has been around for several years but has quickly become a more accepted practice. If your healthcare practice doesn’t already offer an online portal, there are a few approaches to creating one. The first is to hire a developer who can implement it into your existing website. This will require a hefty upfront cost but will greatly improve your patient’s experience. Secondly, third party services such as Microsoft HealthVault or Intuit Health can be used. These are stand alone platforms that can also merge with existing medical systems. A portal will increase both the efficiency and productivity of a healthcare business. Patients will be able to request prescription refills, pay bills, and schedule appointment. Benefits like these are both convenient for them and the institution itself. Security and privacy is an important concern for health care providers. Patient information is highly confidential and industry leaders for online portals have taken this into consideration. These platforms are designed to be very safe through using SSL, login info, and HIPAA compliance. Virtual reality is an emerging technology which shows potential if paired with an online portal. Visits done through the internet would only require a webcam and microphone. This would save time and money for both parties. 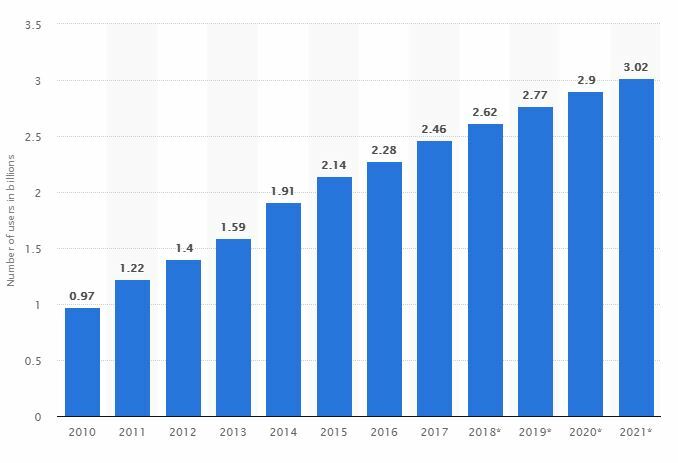 According to Statista, it will have a market size of $215 billion by 2021. There are few better ways to provide value and reach a wider audience than through creating content. 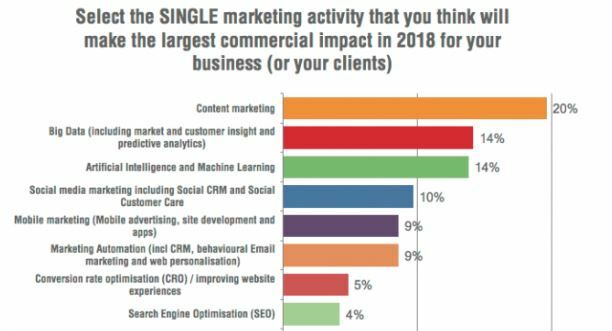 A survey by SmartInsights concluded that 20% of marketers believe that content marketing will be the most impactful strategy for 2018. Content comes in a variety of forms. It can be anything from blog posts, videos, podcasts, to infographics. The key is to provide as much useful information that is tailored to your audience’s needs as possible. Written content such as blog posts is one of the best places to start. You can hire writers to compose articles or do it yourself if needed. Continually producing high quality articles will improve SEO, gradually bringing in more traffic. This can then convert to new customers or patients. It also exposes your brand to a very large audience over time. Specifically, data driven content performs well in the healthcare industry. Use the information you’ve collected to compose case studies and solutions. This will bring further attention to your practice and solidify its authority as a credible institution. News or trend related posts can be written quickly to keep your patients informed. Add in your own opinion to establish your business as a thought leader. Infographics are lengthy visuals that contain statistics, tips, and useful information. These can be created with tools such as Canva for free. For healthcare professionals, infographics can be used to share treatment ideas, best practices, and niche related data. To make infographics with Canva, select “Create a design” from the sidebar. Scroll down to the “Blogging & eBooks” section and on the right, click the infographic icon. You can then choose from multiple different layouts. All you have to do is include your own ideas, data, and findings. From the left sidebar, you can add photos, shapes, charts, and other great visuals. Take your time. Once you’re finished, you can download it as a JPG, PNG, or PDF. Next, Video marketing in recent years has also gained a lot of attention as an effective way to reach customers. It tends to have a higher retention rate and can be easily implemented into healthcare. Videos could be used to explain treatment options, provide updates, and discuss news. These can then be shared across a multitude of platforms including social media and your own website. This also opens the opportunity to create a YouTube channel. For healthcare professionals, it’s an untapped source that you should consider. 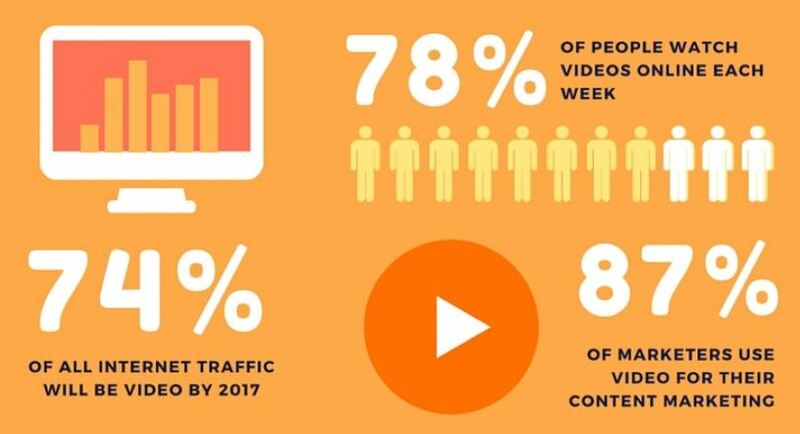 Here are a few stats to inspire you to get into video marketing. When creating content of any kind, advertising should not be one of the main priorities. While it can act as an ad in some ways, it’s most important for building authority and connectivity to your audience. When readers get excited and pull value from your content, they may reward you with an email signup or social shares for example. Make the focus not on you but the reader. Businesses, including those in healthcare, can commonly make the mistake of talking too much about themselves. Instead, address the concerns of your audience, improve their lives, and inspire them. To do all of this, you need to know your audience like the back of your hand. Use this information to curate content that is relevant to the wants and needs of users. Brainstorm what questions they are asking about certain topics and what solutions they are after. If you can successfully do this, readers will be hooked since they’ll pull tons of value from your content. Social proof is crucial for any business. For an industry as serious as healthcare, the importance becomes amplified. Showcasing testimonials or reviews of your service will give potential patients insight into what they can expect to experience. 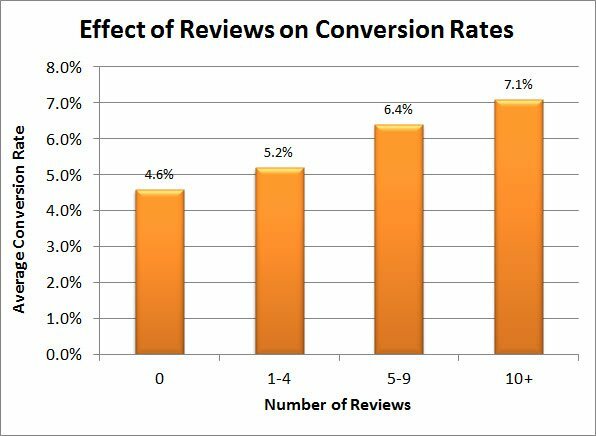 Did you know that reviews have a direct impact on conversion rate? How would you rate your experience with our service? What stood out in your experience with us? If you are going to use their answers, ask for permission to assure they don’t mind. These can then be implemented on your practice’s website. The last question in the above list also provides a deeper understanding of patient needs. This information can then be used to better the business which will lead to further positive reviews. Google Forms is a great tool to use for this strategy. You can create surveys for sending to individuals or groups like newsletter subscribers. Add a logo and style it to match your branding. Dropdowns, multiple choices, and more are available to make the perfect questionnaire. 31% of people use social media prior to making a purchase. So, placing your brand in front of a large targeted audience is practically guaranteed to drive great results. This is why influencer marketing has become a staple for many businesses in 2018. It involves collaborating with businesses which have a large reach to promote you. The first factor you need to consider is your target audience. The best results will come from being promoted by an influencer with a similar patient base. Research them to decide if your audience and goals align. If so, reach out to them with a genuine proposal that you would enjoy working together. My name is John and I run a healthcare business called Easy Health. I came across your brand and believe we have many parallels, including our audience. I’d love to discuss a paid sponsorship or form of collaboration if you offer it. It doesn’t have to be overly complicated or long. If anything, shorter emails are often better. This simple outreach can lead to collaborations which can place your business in front of many potential customers. Social media, which we’ll discuss later on, is another popular medium for influencer marketing. Working with individuals that have large social media followings can help build up your own accounts. Normally, this comes in the form of paid shout outs. For a reasonable fee, larger accounts will mention you and tell their followers to check you out. Instagram, Facebook, and Youtube are the most used influencer platforms currently. Mobile devices have been gradually becoming the most used way for browsing and shopping online. According to Statista, 51.1% of web traffic in the 4th quarter of 2017 came from mobile devices. Here’s an example right from the developers at Google of what your website should look like on a mobile device. Since the resolution of these devices is different than a traditional desktop, websites need to accommodate for the difference. Otherwise, the user experience will suffer as it isn’t optimized. Switching your website to a mobile responsive design can increase conversion rates and average time spent on page while lowering bounce rate. Depending on the platform which was used to create your website, this can be simple or complex. Content management systems such as WordPress offer optimized templates that are instantly compatible with most devices. If your website was developed, it will require further work to achieve mobile responsiveness. Want to test how your website looks on mobile devices? Use Google’s mobile friendly test here. Begin by entering the URL of the website you’d like to test. Google will quickly analyze it and return the results. It will tell you how it performs on mobile devices, any issues, and gives a preview on the right. With an increase in clients, bookkeeping and other tasks, automation is becoming more commonly used. It will aid you in saving time and resources which can then be delegated towards other processes. To achieve this, various customer relationship management software exists such as Infusionsoft or Ontraport. If there is one thing there’s no shortage of in healthcare, it’s information. Organization is crucial because of this. CRM’s will enable those in healthcare to systematize large amounts of customer data. Time sensitive details such as dates and appointments become much more accessible. Don’t just take my word for it. Look at Vidyard, they grew more than 1,000% in two years by using a CRM. Yes. 1,000%. You can get those same results by using this kind of software. Billing is a component of every business, too. CRM software will make billing patients and updating payment details much more simple. In the United States, healthcare costs reach levels upward to $3.8 trillion so it’s essential to track transactions. You will be able to see real time analytics of your healthcare practice’s revenue and other financial details. Sending payment reminders, invoices, and quotes will easily save plenty of time as well. In such a privacy sensitive industry, software like this will prevent data breaches and security issues. It encrypts private information and offers the ability to limit controls based on user roles. For example, employees and staff may be given limited access compared to a system administrator. Most modern CRM software is also backed up to Cloud, further enhancing protection. Paired with good content creation, SEO is one of the most effective marketing techniques for 2018 in healthcare. Even just some basic SEO practices can deliver great results over time. Would you believe me if I said you could reach 100,000 visitors in 12 months from zero with SEO? Because it’s very doable. Look at the growth Andrew Dennis experienced over the course of a single year. Want the same results? Here’s how. To begin, you should research keywords with tools such as Google’s Keyword Planner. This will allow you discover specific phrases that your audience will be searching. Integrating these into web pages and content will increase your rankings in search engines. The bottomline? More amounts of users being driven to your website on a daily basis. Informational: Individuals using informational queries are looking for, as you could guess, information. Targeting informational searches can help establish yourself as an authority in your market. How-to videos, guides, infographics, and blog posts full of tips are ideal for this type of user. Transactional: These are searches geared towards buying a product or service. Common associated words include “affordable”, “best”, or “top 10” for example. If you want to target users that are more likely to convert to paying customers, you’ll want to compile some transactional keywords. Navigational: Search queries aimed at finding a very specific website. As you grow your online presence, more users will search for your brand and related channels. If you are a local business, you could target keywords related to your state and city. When researching and choosing keywords, take into consideration that voice search is growing rapidly. This means that individuals are searching in concise and clear sentences. Your keywords will want to reflect this growing trend. 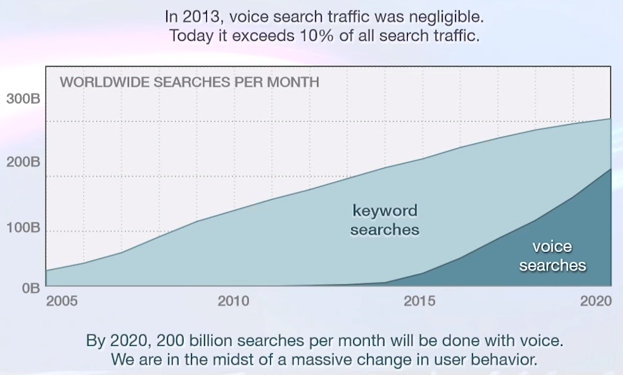 It’s believed that voice search will eventually make up for the majority of searches in 2020. Once you have a nice list of keywords, you need to use them. Navigational keywords such as “Austin Texas chiropractor” could be used on a homepage and about page. This will let locals find your business easier. Keywords based on informational and transactional searches are best to be put into content. Every time you write a blog post, for example, revolve it around the main keyword. Include it in the title, URL and first paragraph. Use variations of it throughout the body a few times. Use related keywords like “Lower back flexibility”. Add relevant images and change the alt text to your main keyword. It’s super simple after you’ve done the initial research, it just takes some time and effort. If you sell products, it’s wise to include a related keyword in the title or description of the product. This way, users that are searching for it can organically find your website and potentially become a customer. When users land on your website, what do they see, think, and feel? These are crucial questions for any business and healthcare is no exception. Klein & Partners have found that upwards of 11% of visitors are unhappy with most healthcare sites. This is because they are comparing them to other common websites such as Amazon. Optimizing the user experience is an important trend to take advantage because of this. One of the first aspects to consider is if your website is up to date or not. Having an outdated website can hurt your brand image when competitors look more professional and modern. Here’s a good example of a healthcare website that’s up to date. They have a clean navigation that makes browsing easier for visitors. How does yours compare? Is it easy to get from one page to another? Are menus crowded or organized? Typically it’s best to include the main pages in the header navigation and extra ones in the footer. Contact information should also be easy to locate, if not an entire page dedicated to it. As well, their logo is simple and the color scheme is consistent throughout the whole website. This business also takes advantage of high quality photos and visuals. Minimalist styles like this are in. Platforms such as WordPress for example, come packed with sleek themes that healthcare businesses can use to achieve these looks. Perhaps most importantly, is your website useful? It should provide value to visitors in some form. This could be content as we outlined earlier, the ability to schedule appointments, or providing excellent products. Businesses in healthcare can greatly benefit from developing a social media marketing strategy. By 2019, it’s estimated that there will be 2.7 billion active social media users globally. Many companies are beginning to understand the power of social networks. They are incredible platforms for promotions, engaging with your audience, and becoming a part of the community. Social media is used to do one thing, be social. You’ll always want to keep that in mind when marketing on these websites. Users don’t enjoy being advertised to constantly since that’s not what they’re on social media for. Mixing in some promotions is perfectly fine but following the 80/20 rule is the best route. This means that 80% of your posts are informational and value giving. The rest can be dedicated towards your products or service. Try sharing recent blog posts, asking questions to followers, and sharing other resources. Over time, your accounts will become a hub of valuable information that users will feel inclined to keep up with. Healthcare institutions can also use social media to engage with patients and other users. They may have questions or comments which can be addressed. Being polite and professional can easily build upon your brand image as everyone can see your conversation. Social networks also act as a bridge for other businesses and health professionals. You will be able to connect and collaborate with them much easier. Moving forward into 2018 and 2019, healthcare businesses will need to take advantage of these trends to improve performance. The first place to begin is with your website. Consider what your current content strategy is or if you need to create one. If there is existing content, analyze what type gets the most shares, views, and engagement. 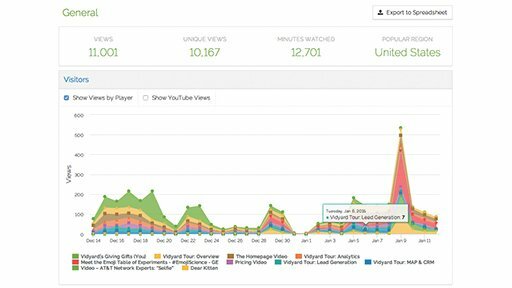 Creating similar content will continue to provide these positive results. Experiment with case studies, infographics, and videos to determine which your audience enjoys the most. Always try to answer questions that your readers would be asking and making it as valuable as possible. Begin implementing an SEO strategy along with this, even if it is basic. A consistent SEO practice will yield a great ROI in the future. Put time in performing keyword research and use tools such as SEMrush to discover what phrases your competitors rank for. Next, center your focus on the user experience of your website. Ensure that it is friendly to mobile users. 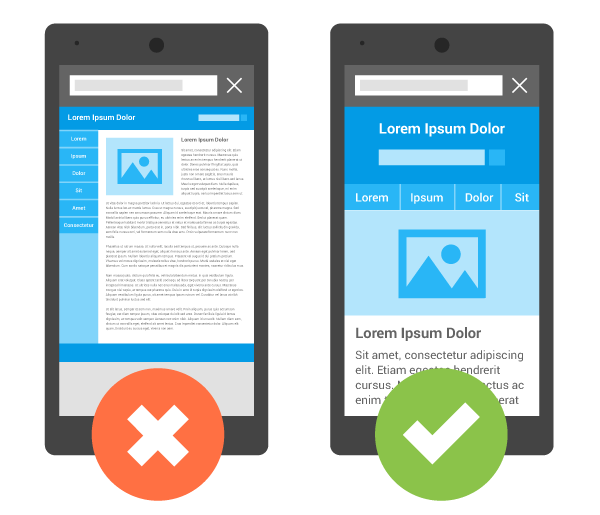 Test it on other devices yourself or use Google’s mobile friendly test. As traffic from these devices continues to rise, the need to accommodate them does too. Similarly, refine the user experience in every part of your website. This means fine tuning your navigation, pages, layout, design, color scheme, and other details. As social proof becomes increasingly important, make sure to display reviews and testimonials. Even just a few can be enough to give potential patients the confidence to trust your brand. Use tools such as Google Forms to streamline this process. If the budget is available, investing into patient portals will make your healthcare business stand out immensely. It is still an emerging technology so it can set you ahead of competitors instantly. Another investment that can optimize workflow, invoicing, and many other operations is CRM software. Companies are beginning to offer CRM solutions specifically for healthcare institutions which makes this an opportune time to test them. A monthly investment into software like this can save time, money, and generate more revenue. Lastly, take advantage of the power of the social media. At the rate it is growing, you’re only missing out by not being a part of it. Create accounts on major platforms to increase your brand awareness. Post useful content, engage with the community, and establish yourself as a thought leader. Collaborate with other businesses by reaching out to discuss working together. Overall, there are many trends for 2018 in healthcare marketing. Take advantage of these to grow your patient base while being ahead of the competition. What’s your #1 tip for growing a healthcare business?